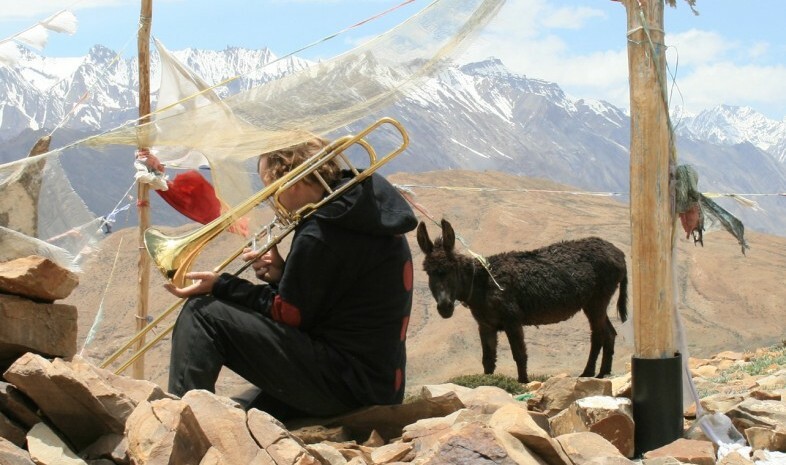 Music has been Hilary’s main activity since 1990, which started with a journey to the Sahara Desert, accompanied by a trombone. This journey and the sense of silent space experienced there has been a continuous influence on his work as a musician ever since. As a trombonist and composer he is active in the fields of improvised, electronic and contemporary composed music. He has recorded with Hugh Davies, Germ, Earthling, Sand, Kreepa, Band of Holy Joy, Jimi Tenor, The Meta Orchestra, Paul Dunmall’s Octet and Moksha Big Band, The Barton Workshop, Apa Ini and as a solo artist. Hilary is a member of Zeitkratzer and has recently formed his own group called Lysn, dedicated to expanded listening and musical explorations of inner space. This is a new suite for the DKBB commissioned by David Kweksilber with support from the Netherlands Performing Arts Fund. Each part features solos and duos from the band as well as group improvisations. The score combines traditional and graphic notation. Many musical influences, approaches and styles are incorporated into the music, combined and mixed in unusual ways –something like an alchemical experiment. In composing this work I am particularly influenced by the music of Gil Evans, Jazz Composers Orchestra, Olivier Messiaen, Charles Mingus, George Russell, Keith Tippett, Henry Threadgill amongst many others – including the great musicians of the DKBB!